Ideal for consistently producing professional-quality colour documents for a great value – at high speeds your HP printer or MFP was built to achieve. Print professional-quality colour documents for a great value and help your workgroup thrive. High-speed printing, easy cartridge replacement and recycling, and consistent printing performance make your business case. - Reduce costs for high-volume printing – high-yield cartridges deliver a lower cost per page than standard. - Count on professional-quality results at high speeds, using Original HP PageWide cartridges. 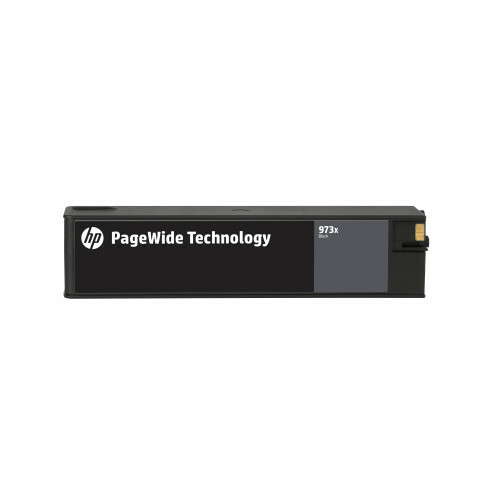 - Spend less time troubleshooting device problems, using Original HP PageWide cartridges.